This makes me so damn angry. 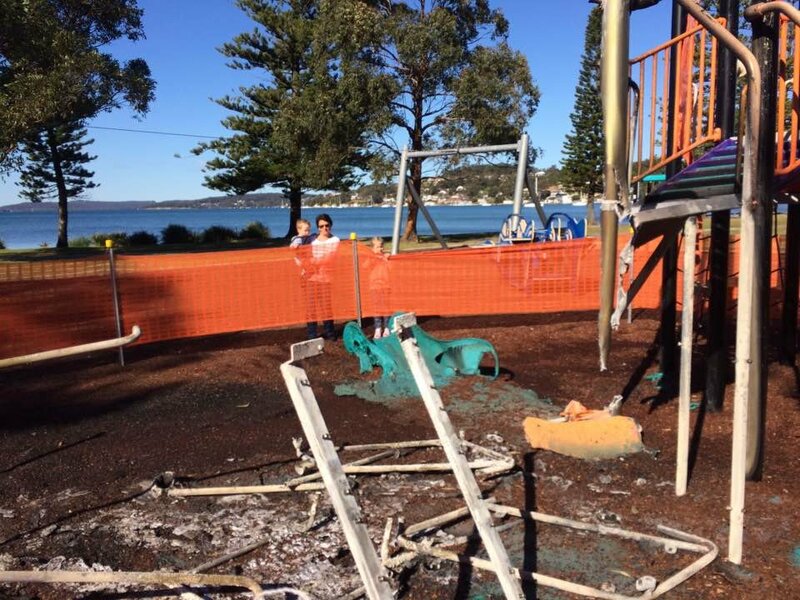 Why on earth would anyone want to burn down a children's playground? In this case at Rathmines Park on Wednesday, the vandals even went to the trouble of building a bonfire under the play equipment before setting it alight. Local resident Neil Graham sent me these pics and I'm as furious as he and other local residents are. These playgrounds are expensive and pretty much impossible to insure. Please, if anyone has any information about this vandalism, phone Lake Macquarie LAC - NSW Police Force or CrimeStoppers on 1800 333 000.